On September 27 the Tourism World Day is celebrated, and the city with the biggest offer of entertainment, culture and leisure of the country is ready to be explored. To help in the development of this itinerary, we listed the 10 most sought-after attractions by visitors, according to a survey conducted at Tourist Information Centers throughout the city. Get to know each of them and make a schedule! 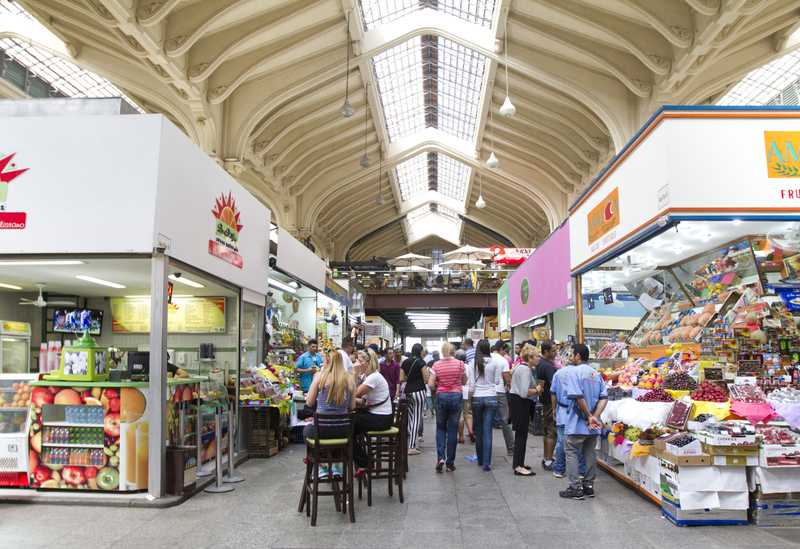 Mercado Municipal. Photo: José Cordeiro/ SPTuris. One of the most famous streets of São Paulo, 25 de Março is the largest center of commerce of Latin America. In and around it, you can find various products at very affordable prices. It all started in the 19th century, when Arab immigrants opened the first stores in the place, but its fame began in the 1960s and since then only increased. Today, the region receives about 400 thousand visitors every day, and 1 million around holidays. A day in the 25 de Março is not complete if you do not end up in the Mercado Municipal, one of the main touristic sights of the capital. The building of stately architecture, marked by columns, domes and stained glass windows came to replace the old central market, which operated in the open in the 25 de Março Street. With 12.6 thousand square meters, the market brings together marketers from every corner of the city, with a huge variety of products, spices and fruits. The cod pastel and the traditional bologna sandwich stand out among the food. Ibirapuera Park. Photo: Caio Pimenta/ SPTuris. 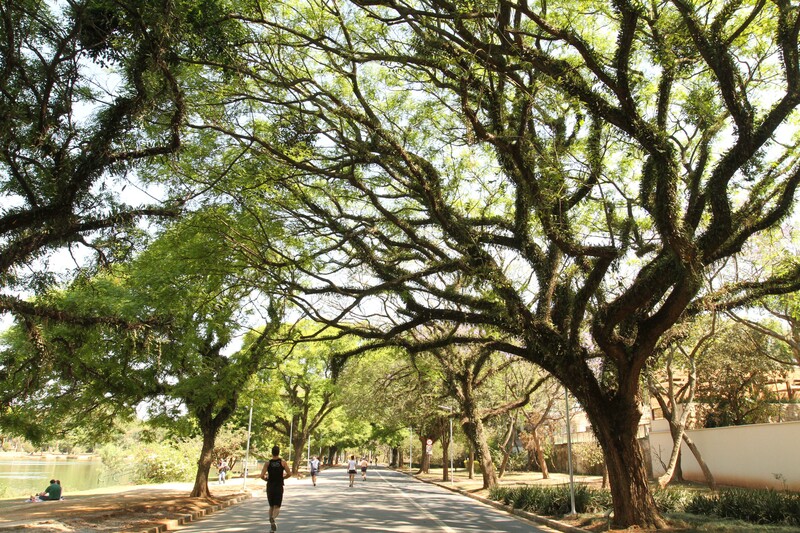 Recently elected as one of the finest urban parks on the planet by the British newspaper The Guardian, the Ibirapuera Park is a stronghold of nature and peace in the middle of the city. In addition to the wide green area and areas for physical activities, bikeways, 13 courts and playgrounds, lakes, space for picnics and bike rental location, the Park has as a differential the architectural works of Oscar Niemeyer, and still has many museums and cultural spaces such as the OCA, the Brazilian Cultures Pavillion, the Museum of Modern Art , the Museum of Contemporary Art, the Museum Afro-Brazil, among others. Masp. Photo: José Cordeiro/ SPTuris. 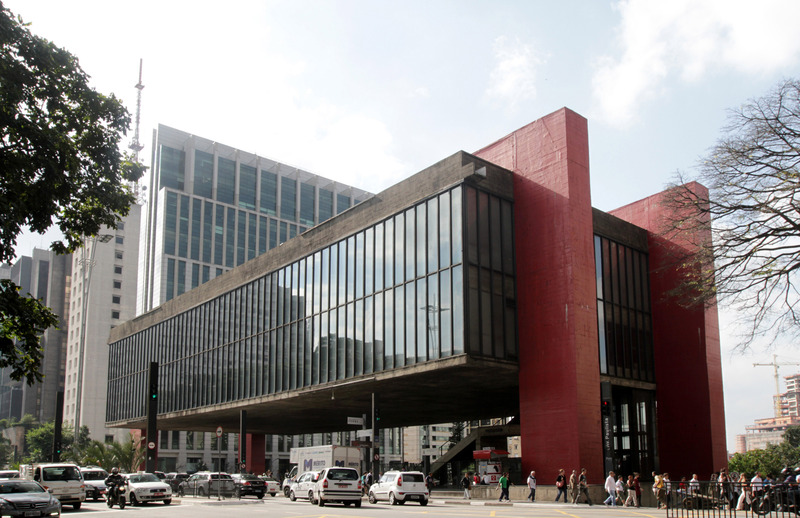 Located in the heart of the city, the Paulista Avenue, MASP (Museu de Arte de São Paulo Assis Chateaubriand) is one of the most important museums of the southern hemisphere and one of the main tourism spots of the city. It has a collection of about eight thousand pieces, with great names of painting, such as Portinari, Anita Malfatti, Picasso, Van Gogh, among others. Another point that attracts visitors is the architecture: a modernist building designed by Lina Bo Bardi that delights by having a different from conventional buildings. It is the only building in the world with its main body landed on four pillars, forming a span of 74 meters in length. Various events happen there and, on Sundays, there is an antiques fair. Historic Center and Sé Cathedral. Photo: José Cordeiro/ SPTuris. The city Center has many historical and not to be missed places, such as the Sé Cathedral. The neo-gothic temple offers guided historic visits and various mass times. In its crypt, below the altar, through where the imaginary line of the Tropic of Capricorn passes, there is a very pretty area, almost an underground church, where important characters of the city history are buried, such as the Cacique Tibiriçá. In front of the Cathedral is the Marco Zero, a marble monument in the shape of a hexagon with a map of the roads departing from São Paulo to other states. Still strolling through the Center, visit Pateo do Collegio, which dates back to the founding of São Paulo, as it was in it that the city was created, in 1554. 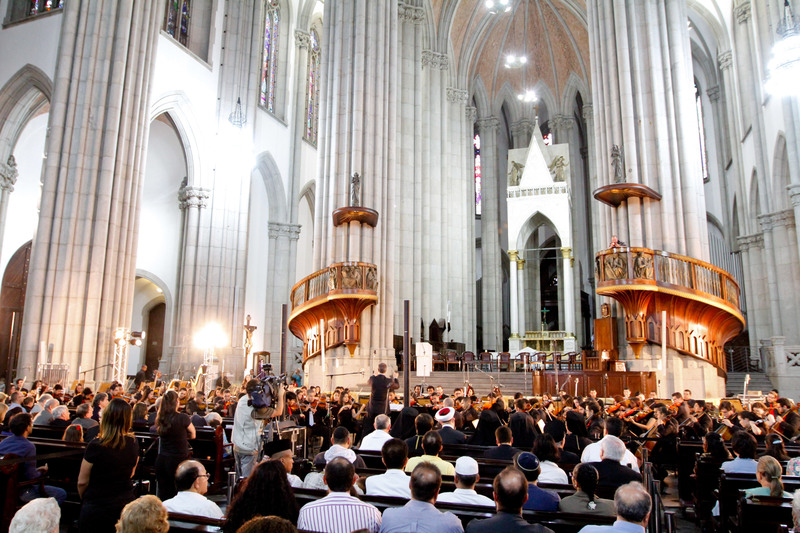 The São Bento Monastery is also a must-see tourist spot in the region. With more than 400 years of history, it has a 17th century architecture and decoration Basilica, with frescoes and murals, as well as an external German clock. 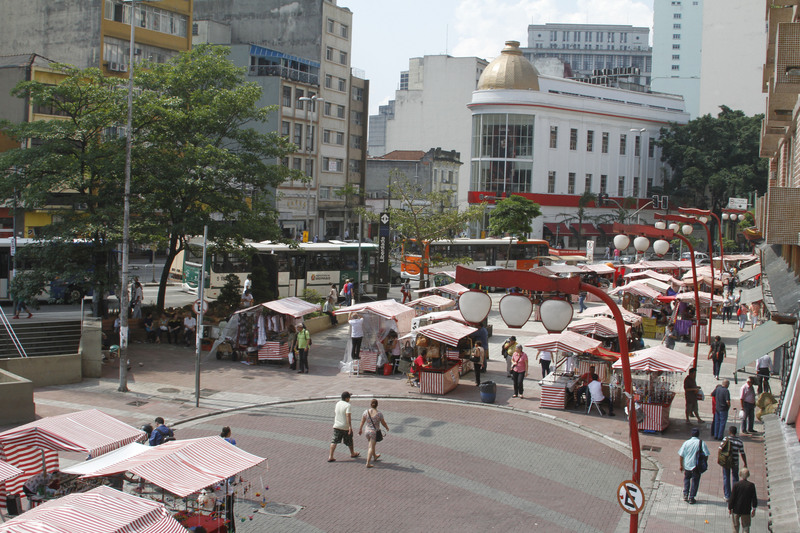 Another attraction of the Center is the Altino Arantes building, known as Banespão. The building is inspired by the famous Empire State Building, New York City, and has 35 floors and is 161.22 meters tall. The most visited place is the tower, which provides 360° vision and reaches 40 km, with views of the Serra do Mar, Pico do Jaraguá, buildings of the Paulista Avenue and the main buildings of the Center. The interior of the building also has its glamor, with crystal chandeliers and eclectic style. Paulista Avenue. Photo: Caio Pimenta/ SPTuris. The Paulista Avenue is one of the main financial and cultural centers of the capital, attracting thousands of visitors and tourists every day. 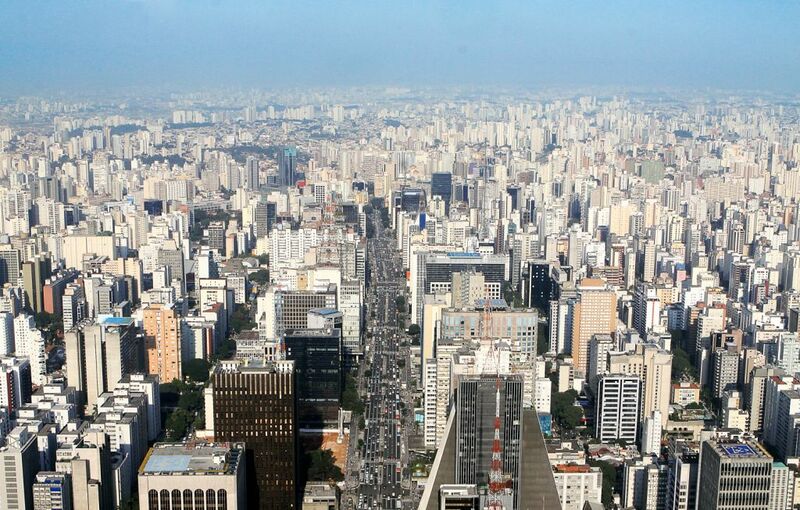 In addition to owning several options of stores and restaurants, it is the scene of major events and also houses other much-visited tourist spots, such as MASP. Other attractions of Paulista are: the Trianon Park, with 48.6 thousand m2 of green area and with remaining vegetation of the Atlantic Forest; Casa das Rosas, a center of culture, poetry and art, with a beautiful garden and architecture of Ramos de Azevedo; and the Conjunto Nacional, a center that houses several shops, a cinema, some restaurants and the grand Livraria Cultura, one of the largest bookstores of the city. Pinacoteca do Estado. Photo: José Cordeiro/ SPTuris. 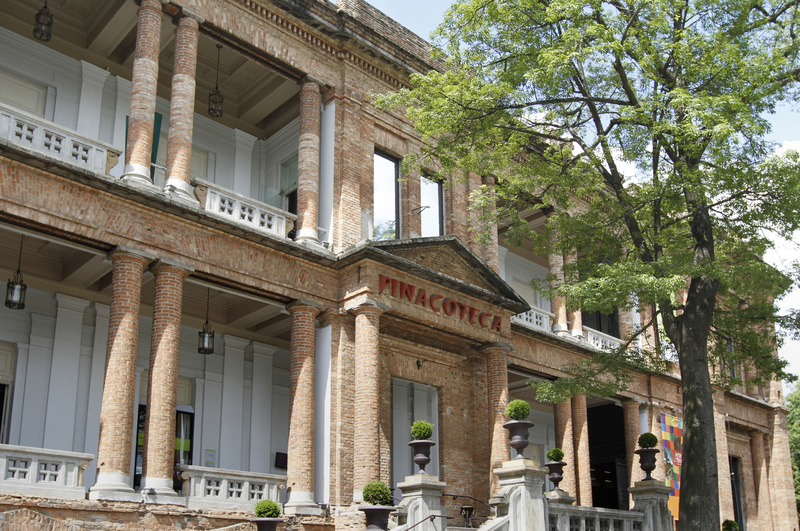 Located on the outskirts of the Luz Station and the Portuguese Language Museum, the Pinacoteca do Estado was the first art museum of São Paulo, and has a collection of about 9 thousand pieces, in addition to temporary exhibitions, both national and international, which attract approximately 500 thousand of visitors each year. The architecture of the building is also a differential, designed by Ramos de Azevedo in 1895; as well as the donations from the first pieces that make up the collection, which were made by established artists such as Benedito Calixto, Pedro Alexandrino and José Ferraz de Almeida Jr.
Museu do Futebol. Photo: José Cordeiro/ SPTuris. 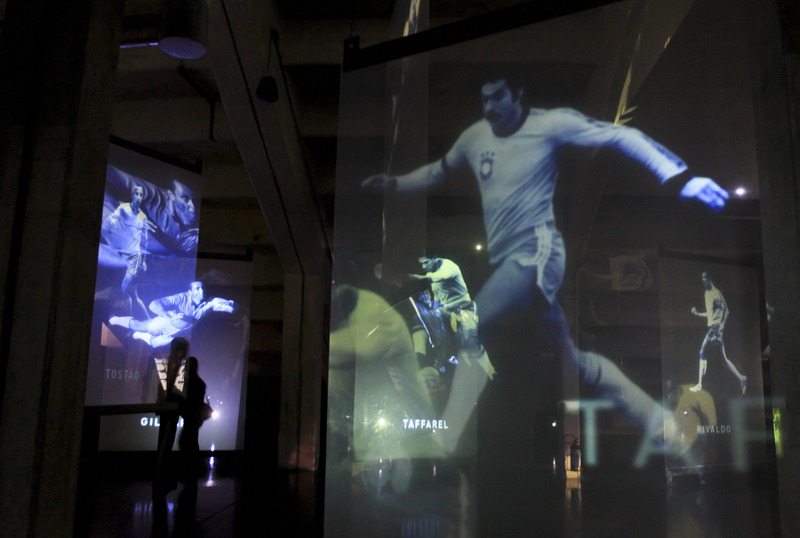 Hiding beneath the stands in the Pacaembu Stadium, one of the most traditional of São Paulo, is an area of 6.9 thousand m2, the Museu do Futebol. The site is a haven of files, photos, recordings, voice-overs, videos and information about the sport brought by Charles Miller to Brazil. The tour is divided in three areas: Emotion, History and Fun, which feature various interactivity features. In one of the areas of the Museum the visitor can, for example, feel the stands shaking, which brings the adrenaline and the emotion of watching a football game at the stadium. Theatro Municipal. Photo: Jefferson Pancieri/ SPTuris. 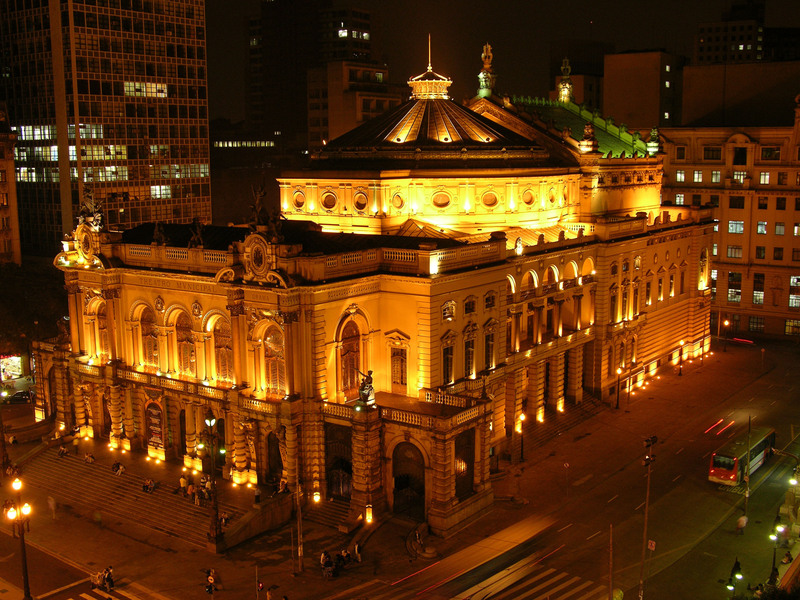 Next to Anhangabaú subway station is the Theatro Municipal, one of the great touristic sights of the city. It began to be built in 1903, designed by Cláudio Rossi and Domiziano Rossi. The inauguration, in 1911, was attended by a crowd of 20 thousand people who watched the opera Hamlet, by Ambroise Thomas. The building is heavily influenced by the Paris Opera, with Renaissance and Baroque traits on the facade, and many decorations and works of art inside. Theatro Municipal has undergone several modernizing restorations, without losing the glamor of its original time. The theater also hosts music and dance schools which present themselves in its stage. There is also a quite charming restaurant inside. Visits can be scheduled for days when there is no presentation, according to the dates available on the website. Portuguese Language Museum. Photo: José Cordeiro/ SPTuris. 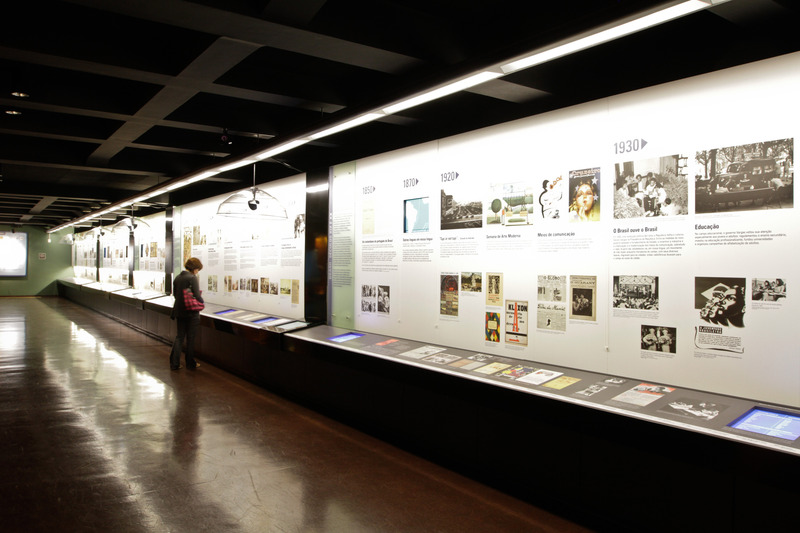 Famous for its innovative format, the portuguese Language Museum was opened in 2006 and has become one of the most visited points of São Paulo and Brazil. Interactivity features scattered throughout the Museum contribute to the environment to become even more exciting. In addition to facts about the language, the Museum also has a space to depict the story of the Luz Station, a building listed in 1982 where the Museum is located, whose structures were brought from England inspired by the Big Ben and the Westminster Abbey in London. Liberdade. Photo: José Cordeiro/ SPTuris. 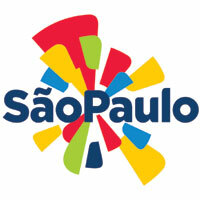 São Paulo is marked by diversity and by the thousands of immigrants living in the city. They brought various influences that can be scattered around the capital or gathered in one place, as is the example of Liberdade. The neighborhood is the most famous immigrant stronghold in the city, inhabited by the Japanese since 1912. In addition to street trading, the traditional Sunday fair also brings a lot of products and typical foods. Around the neighborhood is an opportunity to learn a little of the architecture and of the Japanese language, marked in various signs on the street and in the conversations of most residents and merchants.